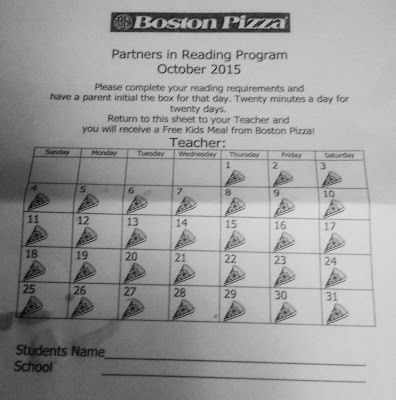 Because apparently learning to read and the many magical worlds that unlocks aren't reward enough, St. Michael's School in Sarnia, Ontario sent this Boston Pizza "Partners in Reading" reward sheet home with their kindergarten students. 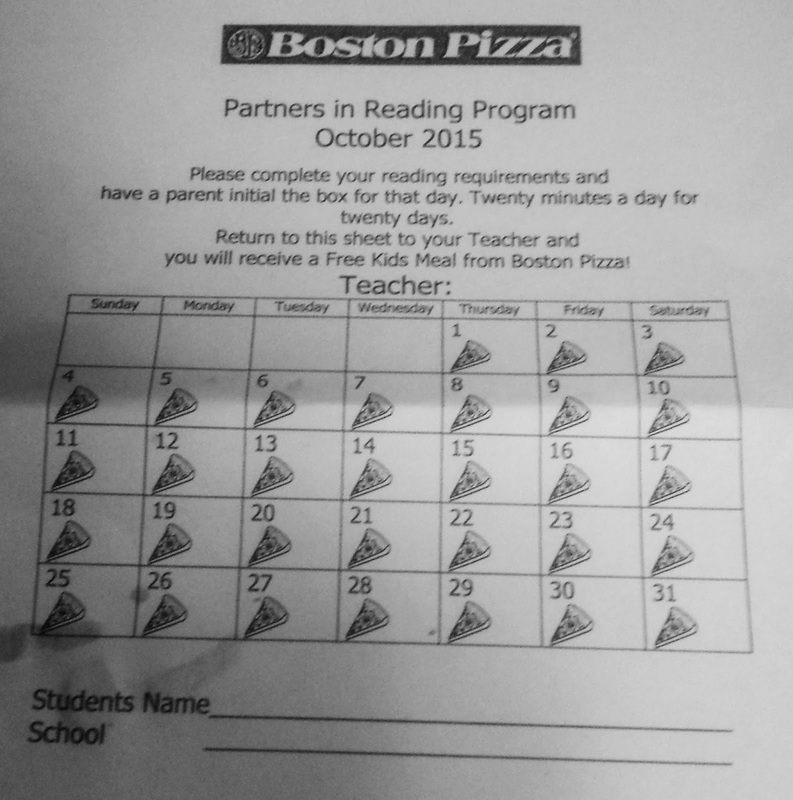 And as I mentioned to the mom who sent the sheet my way, these sorts of partnerships are so commonplace nowadays that they can be considered the norm. People tend not to question norms. Our new norms are awful.